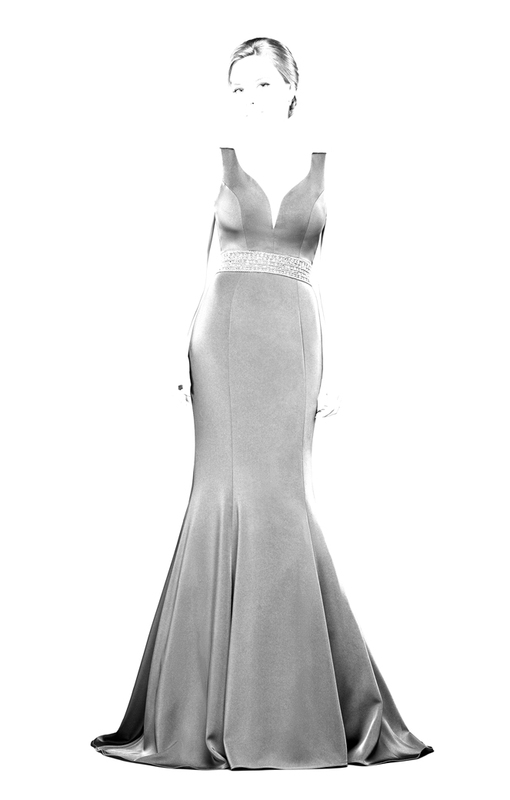 A gorgeous mermaid silhouette crepe gown with a floor-sweeping train. The wonderful sweetheart neckline of this dress will emphasize the sexuality of your décolleté. A heavily-embellished belt will highlight the elegance of your waist.